NEW Delhi (07/02/2019): Shiv Khera will be addressing a press conference this Friday regarding the issues of NOTA (None of the above) button for on EVM . as the General Elections are round the corner . 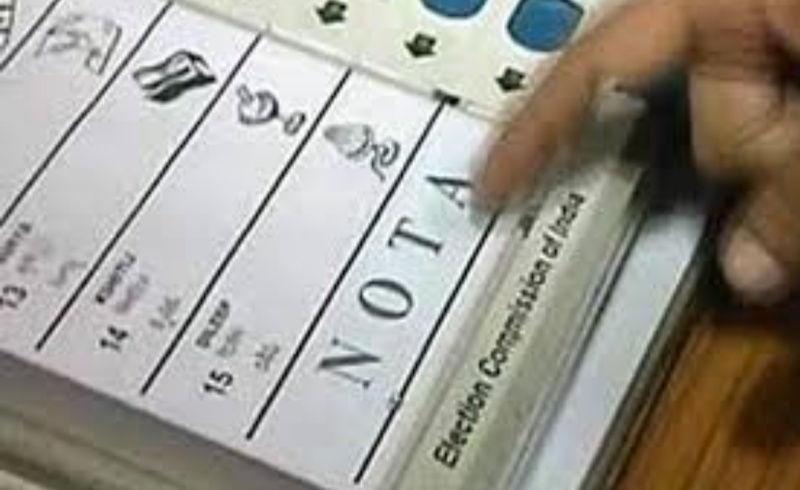 The press conference will be held to address the current toothless and useless concept of NOTA which does not make any difference, even if NOTA gets the highest vote it’s meaningless. Shiv Khera is an author, educator, business consultant ,and a much sought-after motivational speaker. He inspires and encourages individuals to realize their true potential. He has taken his motivational messages to the nook and corner of the globe, from the U.S. to Singapore. His 40 years of research and understanding has put millions on the path of growth , success and fulfillment. The aim of the Press Conference is to educate people about NOTA being toothless and useless. Shiv Khera will address the media on the issue which is arising out of NOTA making a mockery of democracy where undesirable candidates gets elected even if NOTA gets the highest amount of vote share. To remedy this dilemma, Shiv Khera will be proposing a way of Active Protest that if NOTA gets the highest votes, that means NOTA wins. And it further means that the constituency has rejected all those other candidates hence all candidates (seeking election) from that one constituency should be disqualified only for that one and one upcoming election only and a fresh election should take place in that constituency. By doing this, it will force all the political parties to field good candidates to avoid the wrath of the citizens.